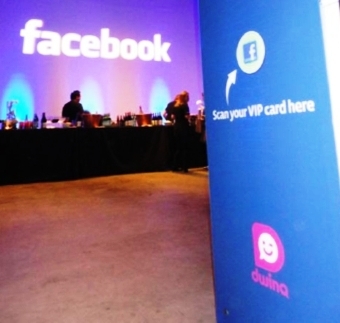 Boston-based mobile marketing provider Skycore has released a new solution that enables brands to use NFC smart posters to build a following on Facebook. The “Tap to Like” solution enables consumers to tap their NFC phones against in-store smart posters and labels to instantly “Like” the brand on Facebook. Skycore also offers a QR code-based version, “Scan to Like,” for those without NFC phones. According to Skycore, the solution’s “drag & drop” interface enables marketers to simply add Facebook’s Like and other social media widgets, such as Facebook’s Share, Subscribe, Comment, Login, Register and Facepile features, to their custom mobile landing pages. Once the marketing materials are distributed, companies can track the location and source of each Like and modify their landing pages accordingly. “The ideal time to ask consumers to Like you is when they should ‘like’ you the most – after a good meal, a fun day of shopping, a live performance or virtually any positive brand experience,” said Rich Eicher, CEO and founder of Skycore. “Our goal is to give marketers the tools to engage with customers in the real world and effectively track the results of those efforts.